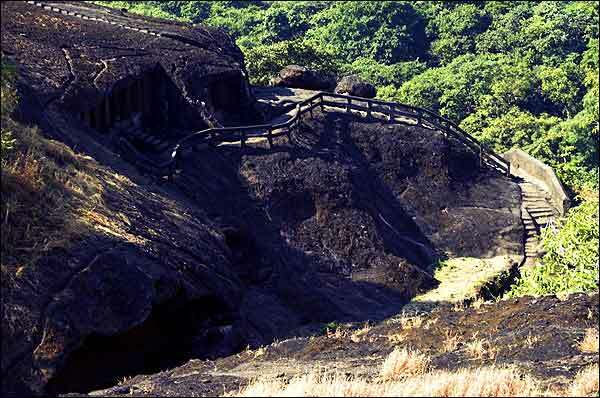 In the western suburbs of Mumbai at Borivali, amid a vast stretch of greenery called the Sunjay Gandhi National Park, you will find the ancient Kanheri Caves. The caves were built by a Buddhist monk for use as an inn for travelers and date back to the first century B.C. 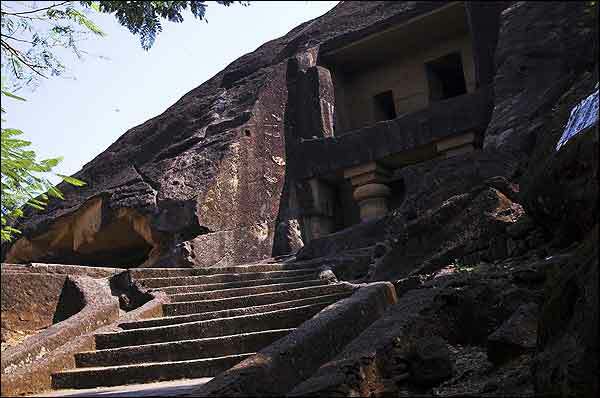 A visit to Kanheri caves gives you an insight into the history and culture of Buddhist monks in India. The caves are a marvelous architectural feat. All 109 of them were chiseled and carved out of a huge basaltic rock outcrop. The smaller caves, known as viharas, served as resting places for the monks. 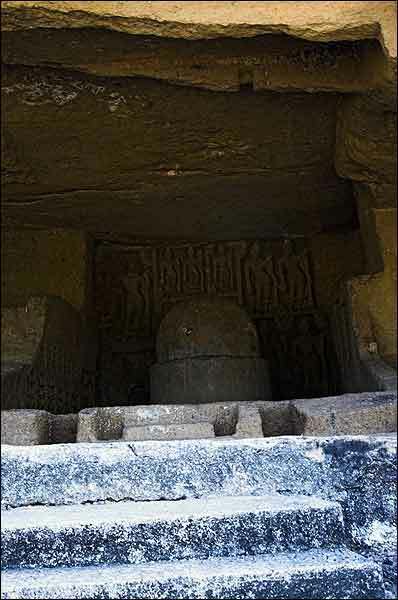 The larger caves, known as chaityas, are lined with various exquisitely carved Buddhist sculptures and were commonly used as places for worship. In the main hall stands the towering figure of the Lord Buddha measuring about 7 meters in height. The interior has a colonnade of 34 majestically carved pillars. 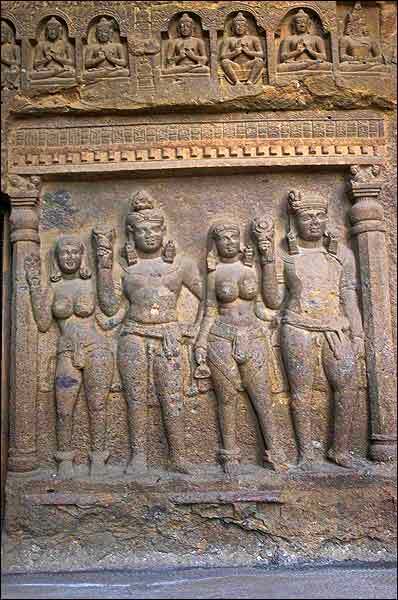 The eleven-headed Avalokiteshwara is the most distinctive motif. There are about 100 inscriptions in different scripts -- Brahmi, Devnagri, Pallavi and Sanskrit. 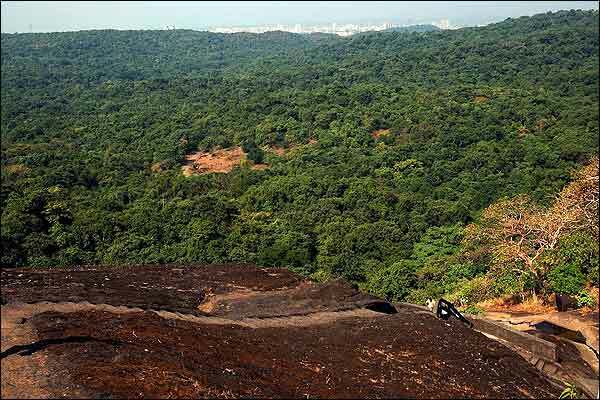 Sunjay Gandhi National Park is about a one-hour drive from Mumbai airport. A long trek of about an hour inside the deciduous forest will lead you to a sloping hill. From the hilltop, the caves command a magnificent view. It is open from 10 a.m. to 5 p.m. throughout the season. Front view of Kanheri caves. 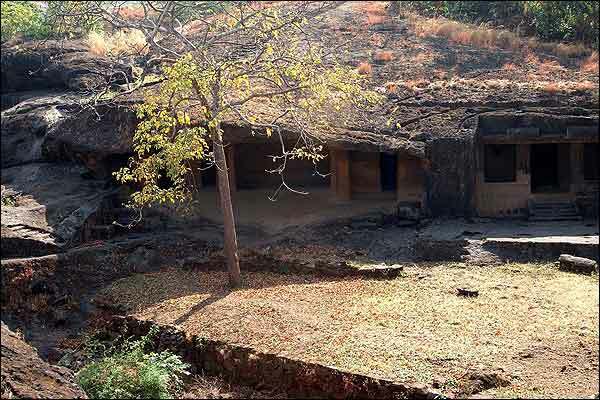 An example of the smaller caves known as viharas. Panoramic view from the top of the caves. A sculpture at the caves. The view into one of the caves.